The ongoing trade war between US and China, two of the largest economies in the world, could wipe out about 0.2% to 0.3% of the Asean region’s gross domestic product (GDP), says ASEAN+3 Macroeconomic Research Office Ltd (AMRO) chief economist Dr Khor Hoe Ee. Priceza Indonesia, as one of the pioneers in shopping search engine and price comparison platform in Indonesia, revealed interesting facts about the 5 most popular shopping categories in six Southeast Asian countries during the first 6 months of 2018. It is peak durian season in Thailand. However, domestic durian consumption in Thailand recently decreased while large volumes of durian are exported. 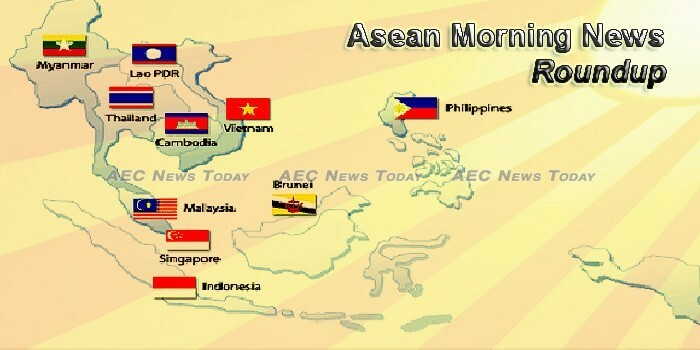 Southeast Asia is among the most dynamic regions of the world. In 2016, taken together, the economies of ASEAN contributed more to global growth than anywhere else. Grab, Southeast Asia’s largest ride-hailing app operator, on Wednesday started a research laboratory for artificial intelligence here, aiming to better understand traffic patterns and offer faster ways to bring passengers to their destinations. The second ASEAN-India Workshop on Blue Economy took place in New Delhi on July 18, attracting over 60 delegates, including government officials, scholars, and researchers from ASEAN and India. A new highway project is planned for Cambodia that will improve transport connections to and from its capital, Phnom Penh and the coastal area, Preah Sihanouk. The Sambo Prei Kuk Cashew Nut Association said 8,000 tonnes of cashews were harvested this season, with the price hovering between $1.5 to $2 per kilogram for fresh cashew nuts, and $15 per kilo for processed cashews. Cambodia’s garment and footwear exports recorded double-digit growth to some $4 billion in the first half of this year compared to the same period last year, a National Bank of Cambodia (NBC) report has said. State lender, Bank Negara Indonesia (BNI), saw its first-semester net profit increasing by 16 percent to Rp7.44 trillion year on year (yoy), fueled by a 13.3 percent rise in net interest income (NII). The Indonesian Ministry of Trade (MOT) recently issued revised requirements to obtain import permits for horticultural products. Many road construction projects in the capital have been delayed or temporarily stopped work as contractors have run out of money and the government cannot provide adequate funds for them. The Vietnamese National Assembly always treasures the relationship with its Lao counterpart and supports the Lao NA at international forums, stated NA Vice Chairwoman Tong Thi Phong during her talks with visiting Lao NA Vice Chairman Sengnouane Xayalat in Hanoi on July 17. SCG Muang Thong United, a leading football club in Thailand will take on Lao National Team for a friendly match at the National Sport Stadium (KM 16) in Vientiane Capital on Aug 31. The additional electricity charges for businesses from this month onwards will increase costs which companies may be forced to pass on to consumers, retailers have said. The outcome of the sales and services tax (SST) has been projected by analysts to be mixed, with different products and services to be affected differently. The Cabinet has endorsed an agreement between Thailand and Myanmar on their cooperation to repatriate Myanmar refugees, with a budget to be allocated in support of their journey home. The Ministry of Hotels and Tourism o July 14 took over the management of state-owned Nan Myaing Hotel on Pyin Oo Lwin, Mandalay from The National Trading Co after the latter failed to pay rent to government for the lease of the hotel since 2015. Excise tax collections accelerated in the first six months of the year following the implementation of a tax reform law, Finance department data showed, with the bulk coming from so-called “sin” products. Despite sticking to its investment grade and stable outlook on the Philippines, US-based rating agency Fitch said the country’s economy was in danger of running too hot, evident from a recent rise in inflation, rapid credit growth and a widening trade deficit. The Philippines could find itself running afoul of U.S. sanctions if it goes through with an arms purchase from a sanctioned Russian firm. Singapore law firm Tan Rajah & Cheah has been appointed to recover assets seized by the Singapore authorities following investigations into the 1Malaysia Development Berhad (1MDB) scandal. The Monetary Authority of Singapore will beef up its efforts to help raise vigilance in anti-money laundering and countering the financing of terrorism (CFC), MAS assistant managing director of banking and insurance group Ho Hern Shin said. India’s capital city will emulate the “Singapore model” of water treatment in its bid to augment supplies by 50 per cent in the next five years. THE RESCUED Mu Pa boys and their assistant coach yesterday promised to live their lives with caution and care having learnt a lesson in being trapped in a Chiang Rai cave for more than two weeks. Views on the US dollar’s prospects for the rest of the year are mixed, with Kasikornbank (KBank) forecasting that the baht will hit a one-and-a-half-year low of 34 to the greenback this quarter amid llarge-scale capital inflows. Foreign investors have net sold Thai shares worth a record 197 billion baht ($5.93 billion) so far this year, bourse data showed, sending the baht to a more than nine-month low against the dollar. The Viet Nam National Coal and Mineral Industries Group (Vinacomin) aims to sell 38.5-39 tonnes of coal, including 34.2 million tonnes of clean coal, by the year-end, up 1.32 million tonnes from last year. Vietnam’s factories need some 180,000 tons of potatoes for processing a year, but domestic production currently meets only 40 percent of that demand, says the Ministry of Agriculture and Rural Development.